Many experts in education and medicine believe substance abuse prevention must begin early in a child's life. Understanding this need, the Los Angeles Police Department (LAPD) and the Los Angeles Unified School District (LAUSD) jointly developed the Drug Abuse Resistance Education (D.A.R.E.) program in September of 1983. The core curriculum of the D.A.R.E. program is aimed at fifth and sixth grade students; however, the program is structured to include grades K through 12. The D.A.R.E. program in Gibson County only involves the fifth grade classes at the present time. The D.A.R.E. curriculum places a uniformed law enforcement officer in the classroom as the program instructor. The police officers assigned to D.A.R.E. come straight from the streets. Their years of direct experience with the ruined lives and streets crimes caused by substance abuse gives them unmatched credibility and knowledge. 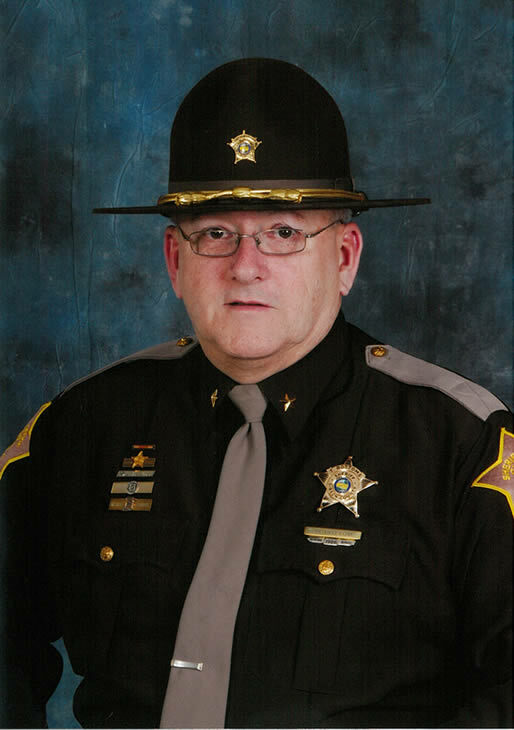 Deputy & School Resource Officer Jeff Hill is Gibson County's D.A.R.E. Officer. The D.A.R.E. program, funded solely by private and corporate donations through D.A.R.E. America, has expanded to all 50 states and many foreign countries since its inception. The successes of the program are still being studied by independent research firms, but preliminary findings show it has far exceeded its goal of helping students combat peer pressure to use drugs and alcohol. ...I was very impressed with the things they learned, and although she knows about drugs and alcohol, I know there will be times of peer pressure..."
The curriculum for the fifth grade program is organized into 17 lessons. Each lesson is taught by Deputy & School Resource Officer Jeff Hill. The lessons, presented once a week at each school, offer a variety of interactive, role-playing and cooperative learning activities designed to encourage students to solve problems of major importance in their lives. INTRODUCING D.A.R.E. - Students become acquainted with D.A.R.E. Officer and the overall D.A.R.E. program. UNDERSTANDING THE EFFECTS OF MIND-ALTERING DRUGS - Students develop a knowledge of basic drugs facts and understand the harmful effects of mind-altering drugs. CONSIDERING CONSEQUENCES - Students identify the negative consequences of using drugs and the postive consequences of saying no to drugs. CHANGING BELIEFS ABOUT DRUG USE - Students become aware of the prevalence of drug use among adolescents and the kinds of peer pressure others may use in trying to get them to take drugs. LEARNING RESISTANCE TECHNIQUES - Students learn and practice effective ways of responding to various kinds of peer pressure to use drugs. BUILDING SELF-ESTEEM - Students learn that self-esteem results from their positive and negative feelings and experiences and how self-esteem may influence their decision-making. LEARNING ASSERTIVENESS - Students learn that assertiveness is a response style that enables a person to state his or her own rights without the loss of self-esteem. MANAGING STRESS WITHOUT DRUGS - Students learn to recognize stress encountered in their daily lives and how to deal with it other than by taking drugs. REDUCING VIOLENCE - Students learn that destructive acts of violence are inappropriate ways of dealing with anger and resolving disagreements. COMBATING MEDIA INFLUENCES - Students understand how the media influences the choices they make and develop the skills and understanding needed to analyze and resists media presentations about drugs and alcohol. MAKING DECISIONS ABOUT RISKY BEHAVIORS - Students apply the decision-making process in evaluating the results of various kinds of risk-taking behavior, including drug use. SAYING YES TO POSITIVE ALTERNATIVES - Students discover interesting and rewarding activities that are alternatives to drug use. HAVING POSITIVE ROLE MODELS - Students become acquainted with outstanding high school role models who are drug-free to clarify the misconception that drugs are in the majority. RESISTING GANG AND GROUP VIOLENCE - Students identify situations in which they may be pressured by gangs, learn the negative consequences of gangs and evaluate the consequences of choices available to them. SUMMARIZING D.A.R.E. LESSONS - Students summarize and assess what they have learned throughout the D.A.R.E. program. TAKING A STAND - By having students complete an essay on their own commitment and present it to their classmates, they reinforce their commitment to respond effectively when pressured to use drugs. D.A.R.E. GRADUATION - This culminating activity recognizes the individual achievement of all participants and reinforces the values and skills they have learned.